I'm itching to make this costume but I hate that the top is so "form fitting" ;) Maybe if I workout more, I can fit something like this for Halloween this year. 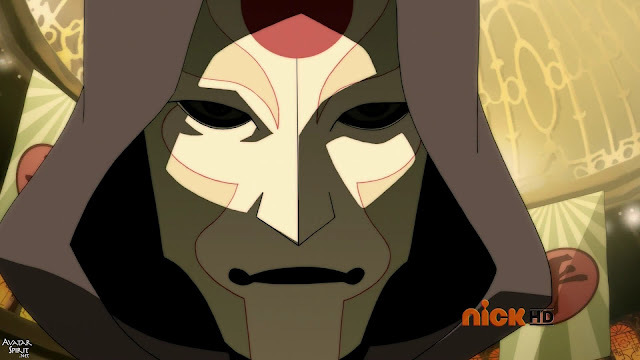 If I go as Korra, maybe N can go as Amon. That costume also looks easy to make. I am hoping to make this costume in the next few weeks. 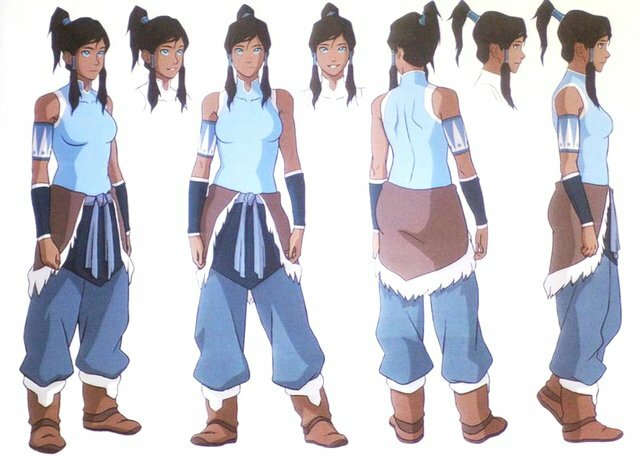 Will be heading up to Comic Con International in San Diego and want this to be my character for this year. It should be interesting. I'm going to Comic Con too this year :) I would love to see your finished costume. Link's Arm Guards I decided to go with a navy blue color just to add some interest to the costume. I was little tired of all that green. I got this amazing stretchy suede from the discount fabric store for 4$. 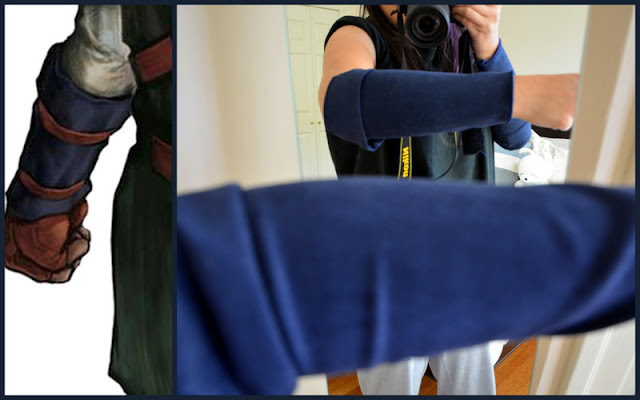 Link's Arm Bracer I made this out of craft foam sheets that I bought at a craft store. The coolest thing about this is that you can heat up the foam sheet with a hair dryer and curve it so it holds a particular shape. I traced the pattern on a 2nd sheet of foam, cut it out and glued it on top for a raised pattern effect and then painted the entire thing with acrylic brown and antique gold. Link's Belt Pouches I made this from some imitation leather (vinyl) and then embroided the edges with a gold trim and painted the designs with antique gold acrylic paint.